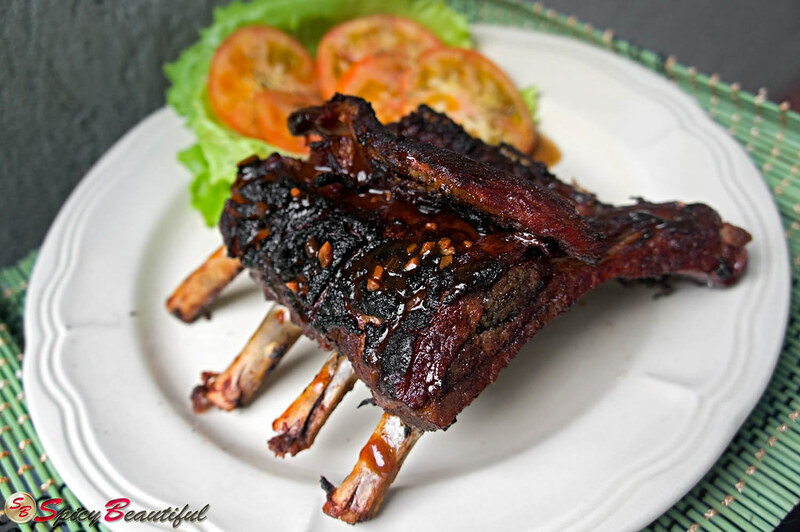 To get that authentic smokey barbecue taste, I grilled the slow cooked slab of ribs on each side before serving. I really love the taste of grilled meat and I’m always looking for any excuse to fire up some wood coals. And anyway, a barbecue has to be grilled in my opinion. If it ain’t grilled, then it’s not barbecue! That additional step really took my barbecue to another level. I can honestly say I have never tasted barbecue ribs like that before! The meat was the right kind of tender (not the falling-off-the-bones thing) and the charred bits on the outside added the appropriate amount of smokiness. The best part about it was that it seemed like the sauce seeped into every pore of the meat while it was being slow cooked and this has made not eating the bones very hard to resist. Now, that has become my measuring stick to a great barbecue. If you’ve ever had that urge to chew the bones off then you have found one delectable barbecue, indeed! Okay, I’ve lavished enough praise on my own barbecue to last 2 lifetimes and I should stop now before I embarrass myself further. Let’s just get on with the recipe, shall we? *This recipe only had a pound of pork ribs since there are only 2 of us eating (not counting Laguum who ate like a third of a portion) but the sauce can actually accommodate double the amount of meat. 1. Wash the pork ribs and pat dry with paper towels. Season with salt and pepper according to taste. Rub the entire slab of ribs thoroughly with the five spice powder and make sure to coat both sides. Set aside. 2. In a medium sauce pan, sauté the garlic until golden brown. Add the onions and bird’s eye chili and stir fry until the onions are cooked. Take off from heat and pour contents into the slow cooker pot. 3. Mix all ingredients for the sauce inside the pot and add the ribs. Turn the pork ribs to coat the meat completely. Cover and cook on HIGH for 2 hours. 4. After 2 hours, check the meat and adjust the taste with a little salt if necessary. Cook on LOW for 2 more hours. 5. 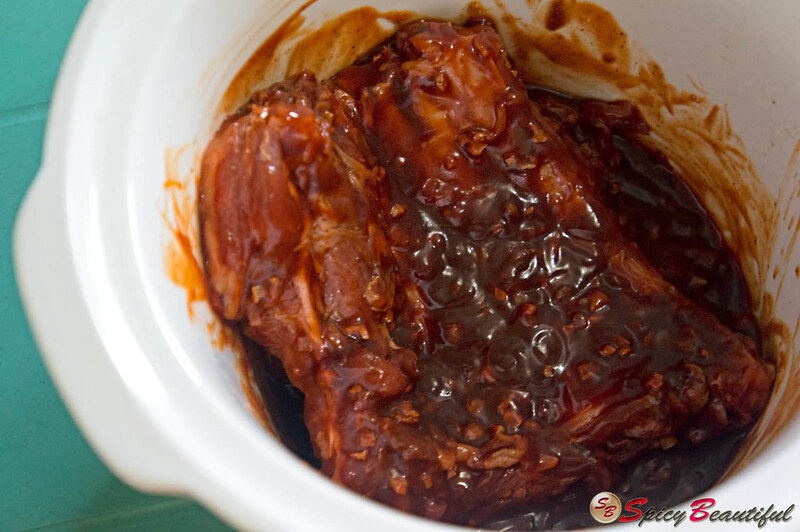 Take the ribs out of the slow cooker and grill for a minute or so on each side. 6. 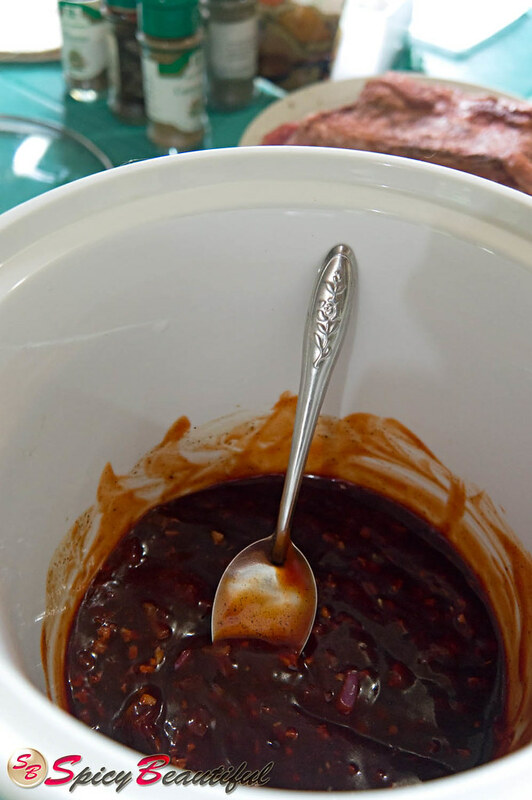 Pour the remaining sauce in a bowl and chill so that the fat can easily be taken out. Bring to a boil in a saucepan and simmer until it is a little thick. Transfer to a serving bowl and serve as a dipping sauce. 7. 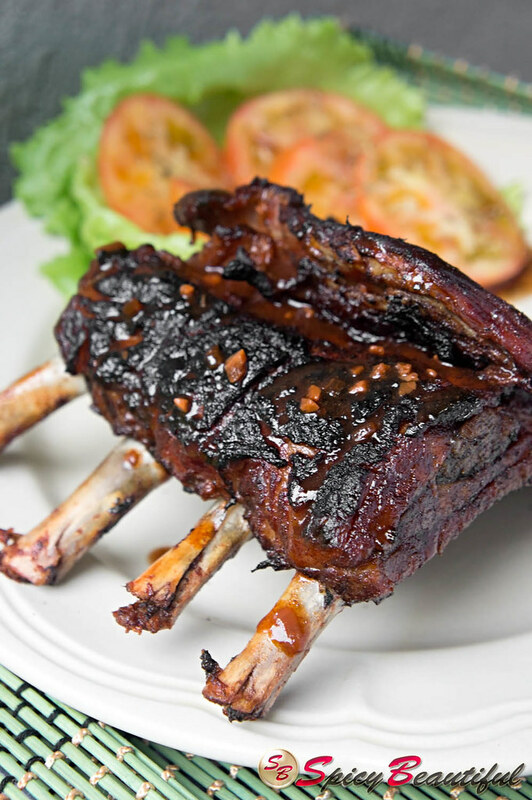 Drizzle some sauce over the grilled ribs and serve with a side salad and/or a heap of steamed rice. These are in my to try pile...can't wait. Thanks for finding us on facebook. We have a weekly link party that begins every Friday would love for you to link up! Have a terrific Sunday! Thank you so much for visiting our blog! We're on our way to visit your blog. Can't wait to join your party!